Going the do it your self route is never a smart option when it comes to technology (unless you are a whiz at it). Have a look at the reasons to hire a pro. There’s nothing that inspires a wave of panic like a broken laptop. Laptops are projected to be the device of choice in just a year or so. We use these portable computers for everything, from ordinary web surfing to running our business. It’s perfectly understandable that when yours breaks down, it can make you go into meltdown mode. What can you do? Maybe you’ve had a laptop delete all of your files or get hacked so badly you can’t recover it. If you’ve been burned like this before, you might try to do a bit of prevention. You might do some homework and shop for a computer that doesn’t break down easily. For example, computers like Apple have a 10% failure rate after three years of ownership. If you are currently dealing with a laptop that needs some TLC, you might try to fix it yourself. Don’t do it! Laptop repairs are no easy task. Before you start tinkering and take a situation from bad to worse, read why you need to hire a pro. The moment your laptop freezes up or goes dark, the questions start. Why is this happening? What does this mean for my data? What can I do about it? You can spend your time doing research and trying to figure out and just be left with more questions at the end. Save some time. Hire a professional who has probably seen your problem before. Another bonus? You can save more money by getting a laptop repair service to take on your problem. We know – this sounds counter-intuitive. There are several reasons why just paying for a computer repair service is actually your cheapest option. With some places, you can send your computer straight to them, saving you gas money (and time, too!). Plus, a lot of stores have discounts and promotions, both on service and even parts of a laptop. If your laptop isn’t completely blacked out, some repair companies can take care of your issues online. This is a convenient option for those whose laptops aren’t responding correctly, have lost files, or have programs that don’t work correctly. Sometimes, a broken laptop can be fixed in just a few minutes! 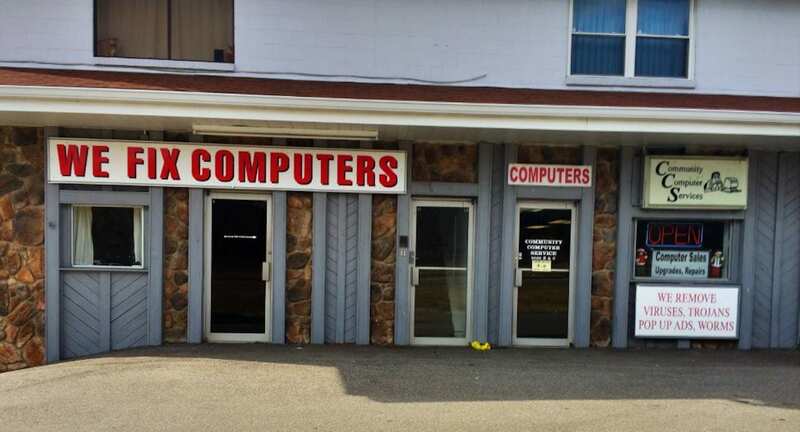 That alone should make you want to hire a pro for any computer laptop repair you need. Do you have several years repairing laptops? If you did, you no doubt wouldn’t be reading this article. For those of us who don’t have 25 years of experience repairing computers, the task can be daunting to say the least. Plus, if you try to DIY, you might end up making the problem worse than what it is. Look for a professional who has a few years under their belt and knows their way around computers. The best laptop repair specialists can be trusted with your sensitive data and can get your computer back to you quickly. The number one thing that makes us cringe when our laptop goes down? Data loss. A serious issue with your laptop can easily wipe out important data, information, and projects. When you try to repair your laptop on your own, you can make your data situation even worse. Hiring a computer repair specialist can help minimize the damage. In some cases, they might even be able to recover your lost information! Sometimes, when you attempt a project you don’t have experience in, you might fix the first issue but cause another one. That’s the same problem you might run into if you find a freelancer to look at your broken laptop, too. When you find the right computer laptop repair specialist, the quality of their work lasts a long time. Don’t trust your laptop to just anyone and don’t try your hand at repairing laptops if you don’t have the experience. A trusted professional computer repair service will take care of your issues in a timely fashion and provide quality work that lasts. In the first few moments of panic after your laptop goes down, your first instinct might be to buy a brand new one. Of course, you want to get your projects back on track, but it can be better, in the long run, to repair your laptop instead. New laptops can cost hundreds, even over a thousand dollars. That’s a huge and unexpected wallop to your wallet. Hiring a laptop repair pro can save you a chunk of change right up front, recover your projects, and get you back on track quickly. Trying to take on a difficult and complicated project by yourself is a certain recipe for disaster. Your issue can quickly get out of hand if you’re not sure of what you’re doing. Why take a risk with a laptop that holds your sensitive data and all of your projects? Stick with a professional and don’t turn a flame into a raging fire. Another great reason to take your broken laptop to a professional computer repair service? They not only can help you fix your main problem but find out the root cause and tell you how to prevent it. You wouldn’t want to make the same mistake twice. If you weren’t sure what caused your laptop malfunction in the first place, a great repair shop can see where you went wrong. On top of that, they can show you how to take care of your laptop and make it last longer, too. There are a few things you can DIY when it comes to a broken laptop. For example, popping in a new battery is pretty easy if your old one dies, or replacing a frayed charger cord. For the really important stuff, call a professional. Community Computer Services has been repairing computers since 1993. No doubt we’ve seen whatever issue you have before and we know how to fix it fast. Contact us today so we can fix your laptop and get you back on track in no time!